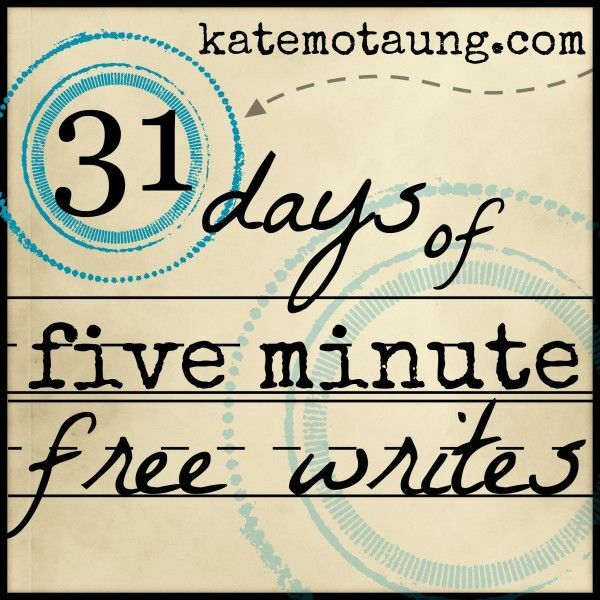 Day 6 of Kate Motaung's 31 days of free writes, October 2015 edition. Write for five minutes. Just write. As I was preparing bible study for this coming Sunday (Revised Common Lectionary Proper 23B / Ordinary Time 28B / Pentecost 20) I noticed the gospel reading includes "For God all things are possible." Mark 10:27b. Here's my visual inspiration and interpretation I retrieved from the past and updated with grungy background style. So literally providential it also fits today's Possible prompt perfectly! If you can! All things will be possible if only you will trust! Stop even imagining in conventional human terms and categories! With God nothing will be, nothing is, nothing ever has been impossible. Anything is possible! Is anything too hard for God? 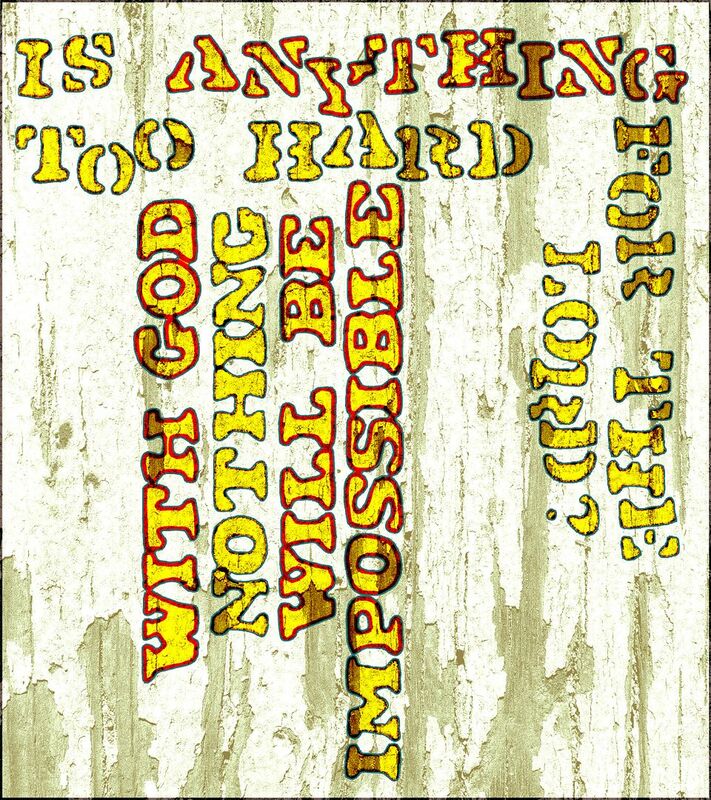 Nothing is too hard for the Lord! I AM the God who raises the dead! God whose word creates out of nothing, God whose Spirit redeems the impossibly broken and dead. My own future possible? Is it not possible for me to trust the God who raises the dead? For the apostle Paul the gospel is death and resurrection. In that case, you must need to be dead before you can be resurrected. In that case, I need to be dead before God can raise me to new life. 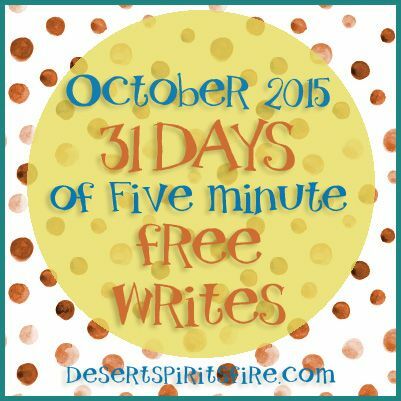 Is it even remotely possible I might write 31 days of five minute blog posts? Yep, so far I've been doing it, and if I keep on in this direction, the possible will become probable will become real. But I'm also seriously slowing down and after my five minute write, it's been taking two or three hours to format and post. I don't usually lay shoulds on myself, but the entire process reasonably should be about 15-20 minutes, and I can use all that time to be productive elsewhere and otherwise.